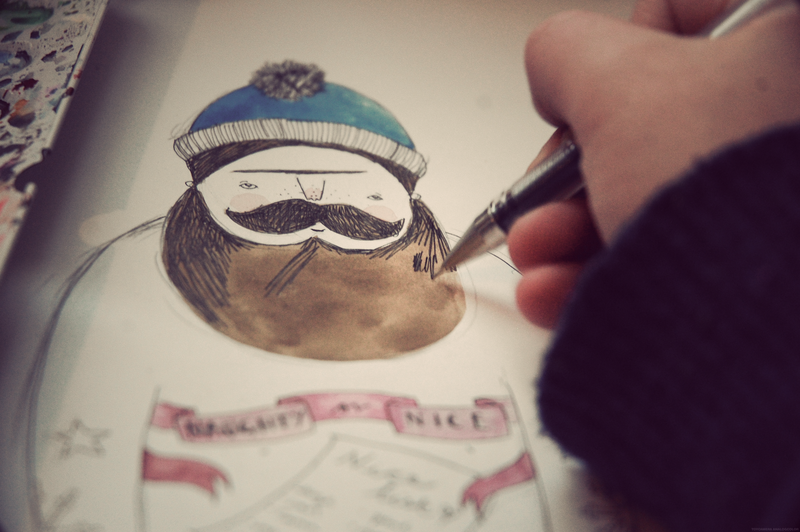 I have been hulled up in my little studio space recently working hard on my illustrations for my Etsy shop. Which has been open for about a week now, and I have been so humbled by everyone sending me lovely emails, tweets and instagram comments on my creations. 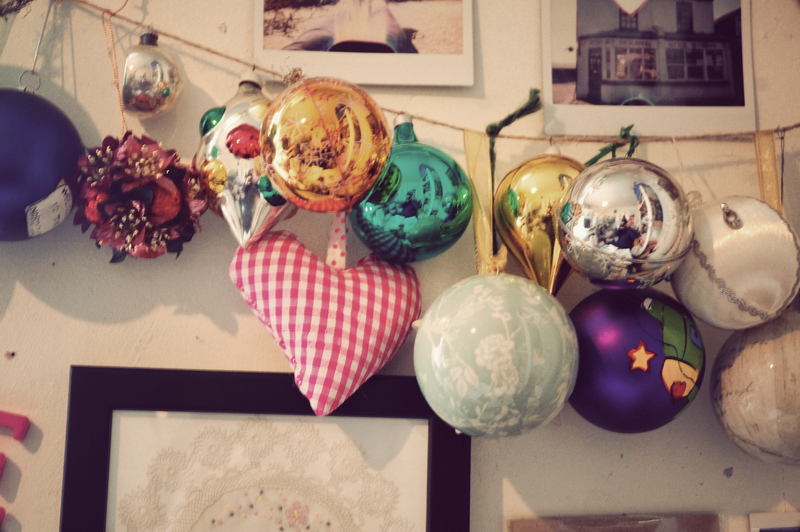 I tried to make my little studio space a little more festive…when I was in the charity shop the other day there were bags of baubles for £1.99 i couldn’t resist and I’ve strung them up across the walls of my studio. The space itself is pretty tiny so I have to be really organised something that I totally fail at! I am learning. I have been so excited about drawing and creating new products that I genuinely haven’t been able to sleep with all the ideas in my head…it makes for a bulging ideas book but very tiered eyes. 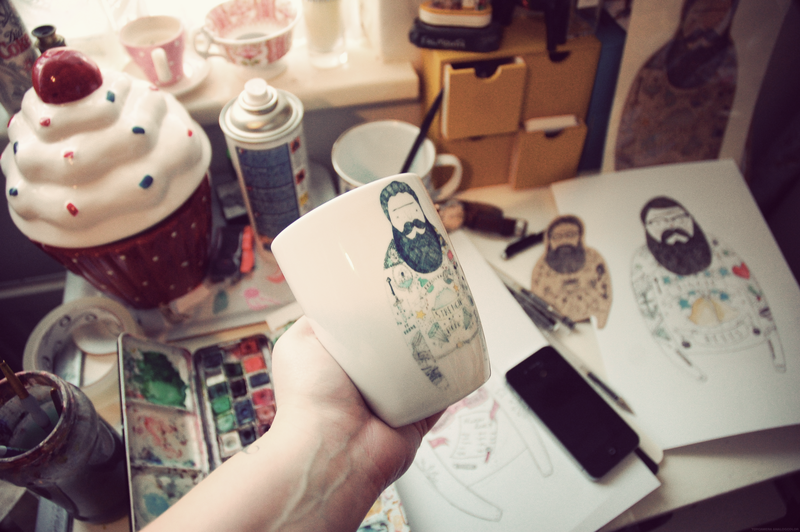 I wanted to share with you a few snaps from my everyday studio life, I have been drawing these tattoo bearded men, for about two years but I have just kept them to fill my room with bearded manliness i never really thought anyone would want to buy them. But I have loved being able to get back into drawing, its really been surprising how much people have compliment the the drawings, I know tattoos aren’t for everyone, I just really love drawing detail and challenging myself…can you tell? I hope you like what you see and you don’t feel to bombarded with my illustrations and drawings, I’ve just really missed sharing my creations with you all. 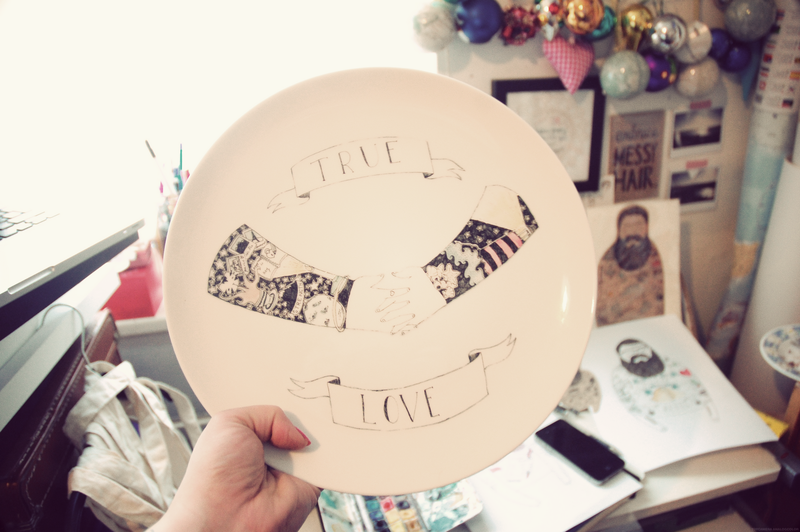 Also a few of you lovelies have been asking when the mugs and plates will be on sale… unfortunately the won’t be properly available until the weekend as of today I am back at work during the day and my time in the studio is limited. You will be able to find out straight away once my mugs are available via Instagram you can follow here. Next Post i’ve been away. These bearded men are just the coolest! I want to see more and more of your amazing illustration work. I want a plate and a mug. I was about to buy a few things but I think I should wait and see what else you put up. How much will the plate be and the mug? Will you be adding anything else to your shop? I am dying to press order. Even though I can't afford to buy the things in my basket I am still buying them. I want like all your items (serious). I really love the legs and hands work can't wait to see more on that theme of work. 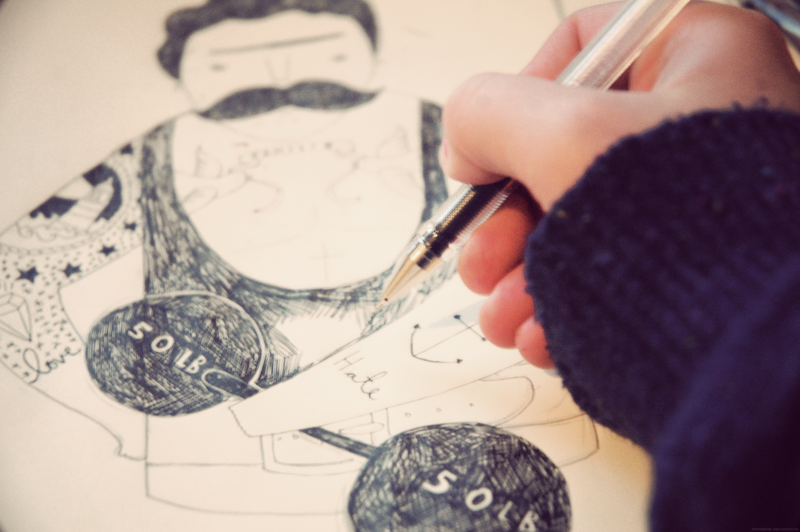 The photo of your sketchbook is saying to me 'ZINE TIME'……..Please make one and I will love you forever. 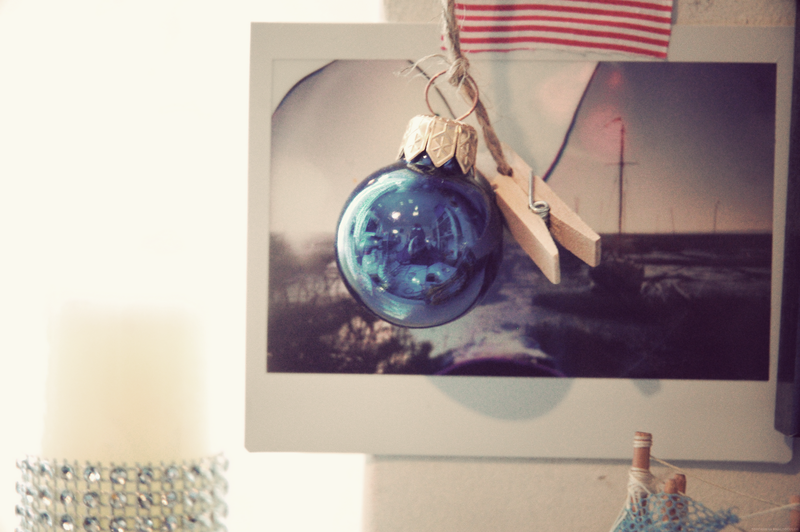 p.s your room looks bloody awesome and I want to nick those decos, hehe. when I meant I am buying a few things I mean I have three of your products in a basket ready to buy (I just re-read my comment from earlier and it didn't make sense). Seriously. You are so talented. 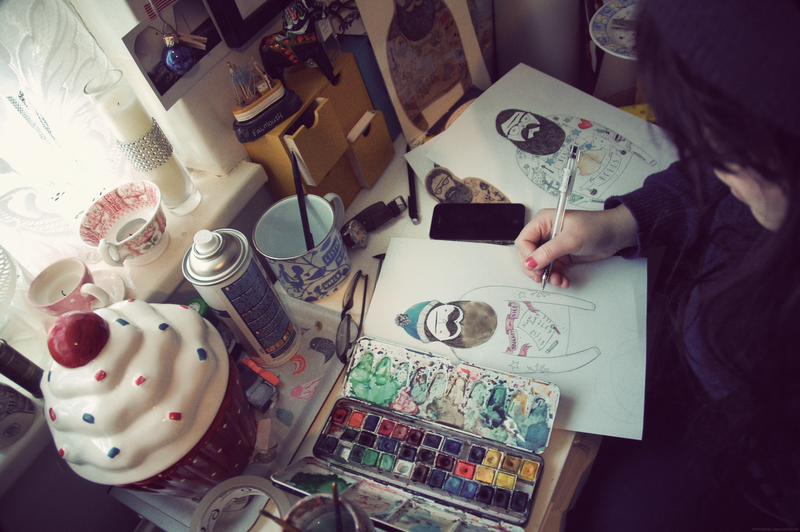 Both your « studio » and art are amazing and so inspiring. I love those pops of colors everywhere, it should inspired creativity! 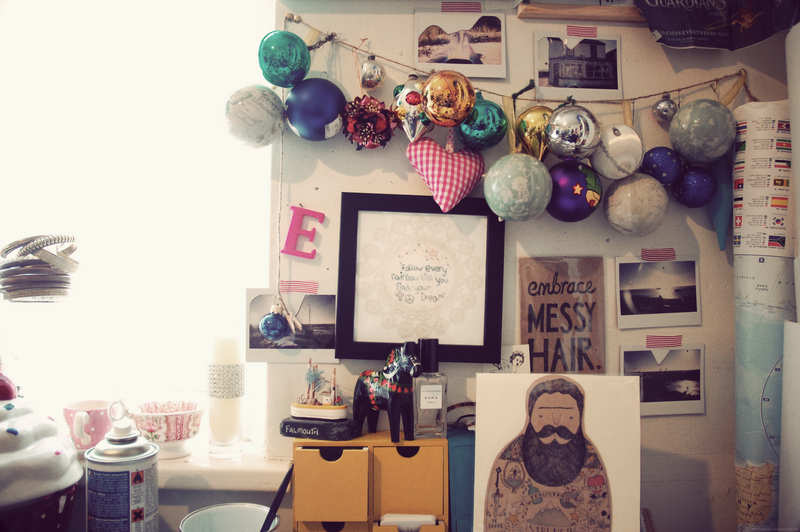 Your studio space looks so wonderful and sweet, and oh those baubles are SUCH a good idea! Your illustrations are so good! Talented lady. 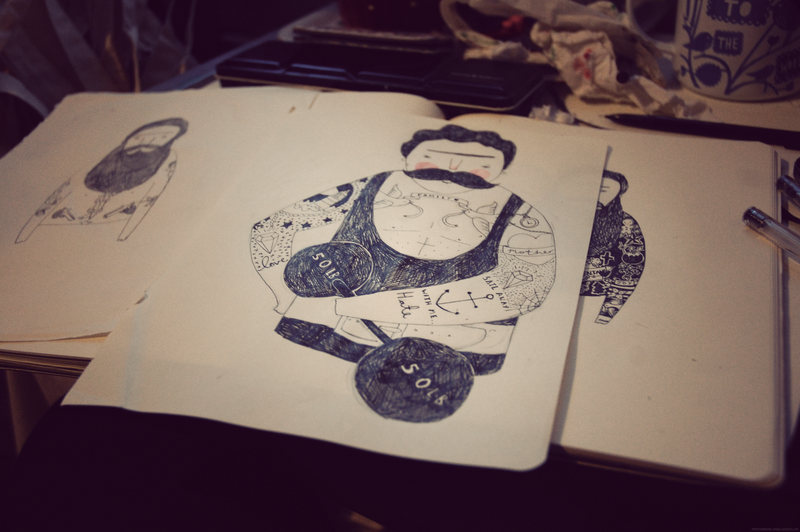 I love your blog and all you're illustrations!